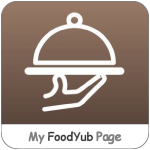 We are now on Yummly. Go check out our publisher page here: Hetal Kamdar Yummly and start Yumming our recipes. Did you ever want to have your favorite recipes right in your pocket? Well, now you can! We’ve started publishing our recipes on Yummly! There are currently over 200+ recipes out there. More adding daily. It’s now very easy to click the yum button on our recipes page – it sends them straight to your Recipe Box on the Yummly app/website.